SD to HDMI Mini Converter Blackmagic Design's founders have had a long history in post-production editing and engineering. With extensive experiences in high-end telecine, film and post, harnessed with a real passion for perfection, Blackmagic set out to change the industry forever. Blackmagic has created some of the most talked about products in the industry. This started in November 2002, when they launched the DeckLink capture card and in doing so single-handedly made working in true 10 bit uncompressed video on a Macintosh OS X� system an affordable reality. The DeckLink card has become a market-leading product due to Blackmagic Design's philosophy of delivering "what ever it takes to give creative editors and designers the very best quality tools". Blackmagic Design has set the standard for an entire industry. With innovation and quality at the heart of every project, Blackmagic launched a rapid succession of amazing products for creative people. We have a Blackmagic Pocket Cinema Camera on demo, plus a Video Assist, and have been using it with various (older) lenses, including building a rig to use 2/3" B4 zoom lenses with the BMPCC (pictured below). See B4 lens tests here. The product range includes HD & 4K PCI-e cards & USB3 devices, external converters, solid-state recorders, matrix routers, vision mixers and cameras. All Decklink & UltraStudio devices can output 8 or 10bit uncompressed video over SDI with embedded audio. The different models have additional combinations of analogue and digital I/O. They also include an RS422 port and software for controlling any VTR that uses Sony-compatible RS422 protocol, which covers most professional and broadcast decks. HyperDeck Shuttle is a solid state recording device that bypasses your camera�s compression and records from SDI and HDMI direct into the highest quality uncompressed video, dramatically improving the quality of professional or consumer cameras! HyperDeck Shuttle is compact, affordable and battery powered so it�s perfect as a field recorder, giving you the quality of uncompressed recording direct to common low cost SSDs in the smallest possible size. The complete PC-based test & measurement tool for video monitoring and alignment. or as a complete system. 3GHz i3 CPU, 4GB RAM, ATI 4650 graphics card, Win7 Home Premium, 500GB H/D, LG 23" 1920x1080 HD LCD monitor and the Ultrascope hardware/software package installed. UltraScope automatically detects between SD, HD and 3Gb/s HD-SDI video standards and includes both traditional copper BNC SDI inputs as well as optical fibre SDI inputs. 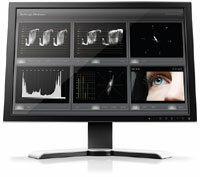 Blackmagic UltraScope is a combination of a hardware input device and software package designed to work in a PC, with a 1920 x 1080 HD-res monitor for display. This allows 6 simultaneous waveform displays that can show RGB and YUV parade, luminance, digitally synthesized composite, luminance & composite, vector-scope, histogram, 8 channel audio metering, 2D audio scope, and picture view with video standard display and HD RP-188/SD VITC reader display. Blackmagic UltraScope is the world's first PC based waveform monitor that combines technical accuracy with elegant design, making it perfect for master monitoring, quality control, edit suites, colour correction, equipment rooms and video engineers. Decklink cards are available on their own or as part of a hardware/software package for live webstreaming.